BAD BEAT JACKPOT was hit on February 1st! 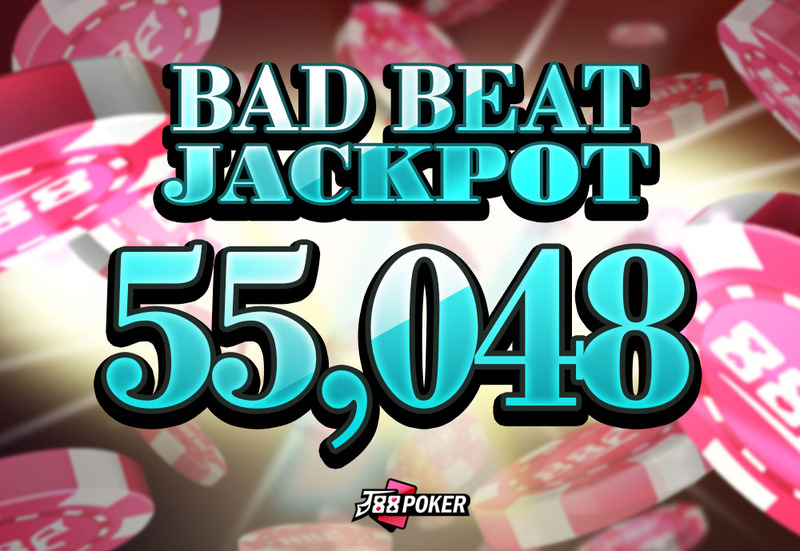 J88Poker’s Bad Beat Jackpot was hit on February 1st. ₵55,048 Jackpot prize was distributed to four users who were playing at the 2/4 table. JoblessLeo won the Bad Beat Jackpot and got ₵27,524, and the winner of the hand, Shinzo got ₵13,762 as Jackpot prize. The other lucky players – Kaina and Angelaffe – who happened to be playing at the same table with the winners also shared the joy of getting ₵6,881.